Anyway Politics is game where Beta Baap ko nahin pechanta aur ye log to kurchi ke liye kuch bhi kar sakte hai.. In any case .. the negligible votes which BJP might have picked up via Minorities have turned down to negative after this , I feel !! And these groups always have nothing better to do instead stirring a flame and then they wait and watch the drama.. 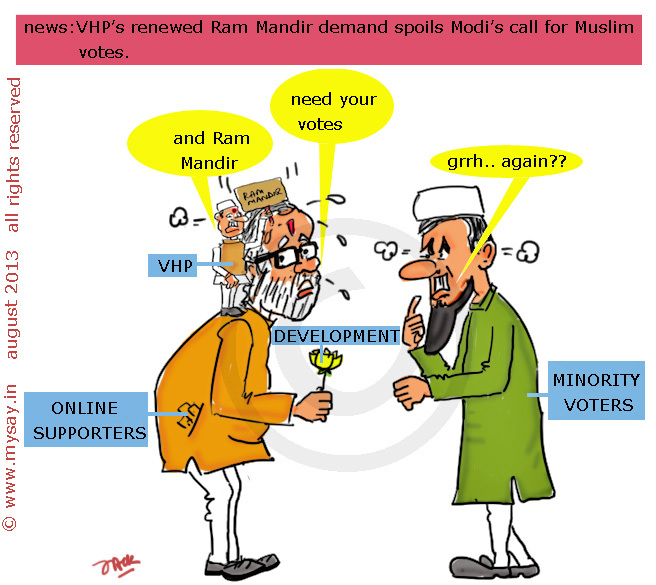 I don’t want any Ram Mandir! hahaha .. I want Ram and his temple too but to remain in my heart as always .. even my Ram does not need a place on any land which will take away innocent lives ..